The tradition of serving a wedding cake at your reception dates back a long time. 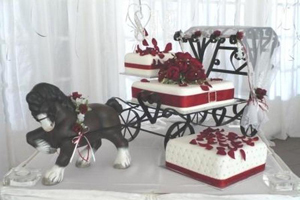 The cake is usually on display as a centerpiece of the wedding. Traditionally, wedding cakes were made to bring good luck to all guests and the couple. 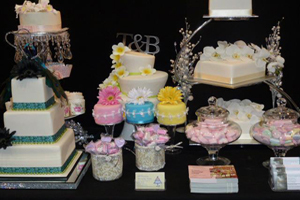 Some cakes are built with only a single edible tier for the bride and groom to share. Wedding cakes come in a variety of sizes, depending on the number of guests the cake will serve. Modern pastry chefs and cake designers use various ingredients and tools to create a cake that usually reflects the personalities of the couple. Today, many flavors and configurations are available in addition to the traditional all-white tiered cake. Cutting the cake is an important part of the reception. A full service experience! A passion for exquisite food and exceptional service coupled with 15 years in hospitality provides for a unique service for you! 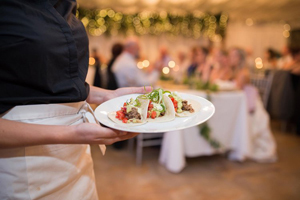 From flawless execution to professional and engaging staff, Monsoon Catering offers a full-service experience for every event. We guarantee outstanding culinary delights accommodating most individual requirements or we can create a special menu just for you.. This entry was posted in Cakes and Catering, Wedding Services on December 28, 2018 by Detlef. Chocolate Wedding Bombonieres! The perfect party favour for your wedding guests. As Tamborine Mountain’s chocolate specialists, we offer your choice of unique, handcrafted chocolates to suit most budgets. 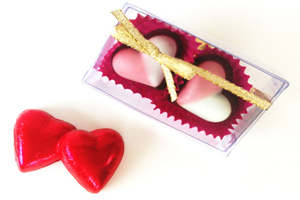 Our chocolate bombonieres can be packaged to match your table decoration or wedding theme – from simple to simply elegant! Contact us today to book a consultation for your big event. This entry was posted in Cakes and Catering, Wedding Services and tagged Bonbonniere, Chocolates on Gallery Walk, Tamborine Mtn Weddings on January 19, 2018 by Detlef. For that extra special touch! Ann’s aim is to provide a you with special design giving that “WOW” factor at an affordable price. With personalised service and attention to detail Ann has a reputation for her quality of work and caring attitude. With over 40 years of experience, Ann has skills to cater for the very traditional as well as the new modern designs. So if you are looking for that unique, personalised design for your wedding, please contact Ann. You won’t be disappointed! This entry was posted in Cakes and Catering, Wedding Services and tagged anns unique cakes, Tamborine Weddings, Wedding Cakes on January 19, 2018 by Detlef. Unforgettable Edibles! “All Occasions Speciality Cakes” creates unique and affordable wedding cakes for delivery to Wedding Reception Venues on Tamborine Mountain, Gold Coast and all areas between Brisbane and the New South Wales border. Please tell me about your “dream wedding cake” and provide images (if possible) so that I can capture and design what you desire with amazing taste and WOW factor! This entry was posted in Cakes and Catering, Wedding Services and tagged All Occasions Specility Cakes, Bridal Services, Sweet Temptations, wedding cake, Weddings tamborine on March 18, 2017 by Detlef.